"EEVblog #436 - Review & Teardown." "Logic Analyzer and Netduino's UART." 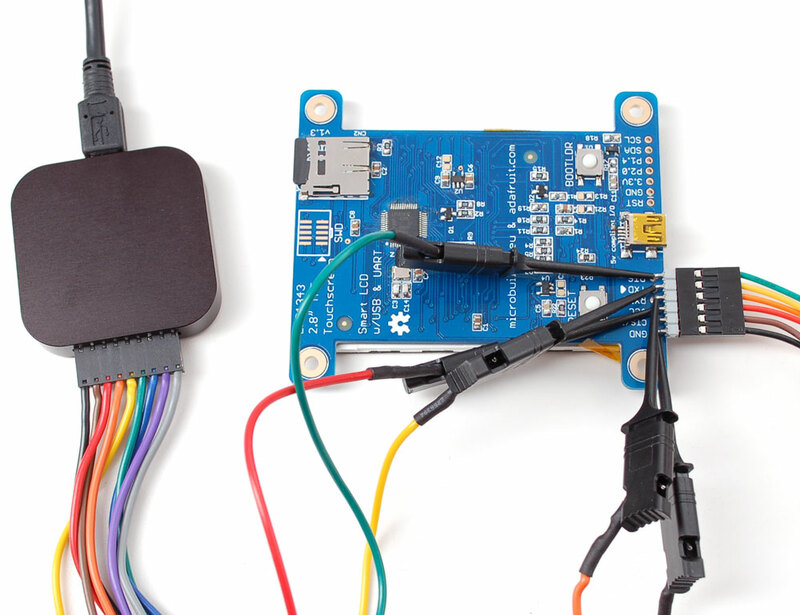 "Decoding a Webkey's EEPROM I2C bus." This is a must have tool for analyzing, evaluating and "seeing" digital serial communication signals. 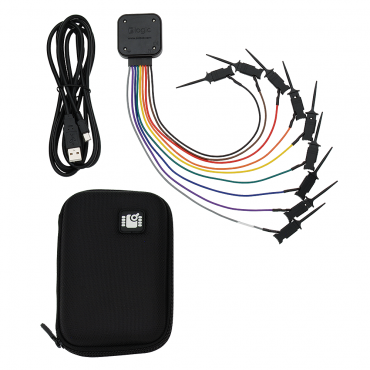 Hardware - Start debugging within 5 minutes of opening your new Logic; everything is included: An ultra-flexible 22AWG 64/40 wire harness, 9 high-quality micro-hook probes, a USB cable (2 meter mini-B to A), and a nice carrying case. Logic enclosure is made from custom CNC machined aluminum and anodized for a nice durable finish. Logic’s inputs are protected against overvoltage conditions via current-limiting resistors and ultra-low-capacitance diode clamps. A resettable fuse protects the USB ground return line to augment the USB host’s existing protection. Logic comes with a 2-year warranty. If your Logic stops working for any reason, we’ll ship you a replacement at no cost, anywhere in the world. 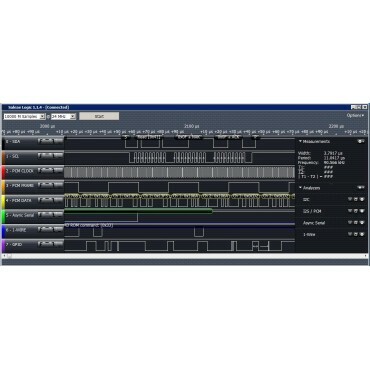 Software - Navigate your data easily and intuitively with Logic's fluid and fully animated mouse-driven interface. Drag the display with the mouse, zoom with the scroll wheel, display toss function, to find nearby events. You can also use the arrow keys — up, down, right and left. When data is far apart, you can use the jump to next buttons to advance to the next time the signal changes. Sessions let you save an entire setup — triggers, timing markers, data and view state — so you can pull it up later or send it to a friend. Data is compressed for manageable file sizes even with long captures. You can also save just the setup - so you can use it again later. The trigger lets you specify conditions to wait for before starting data collection. 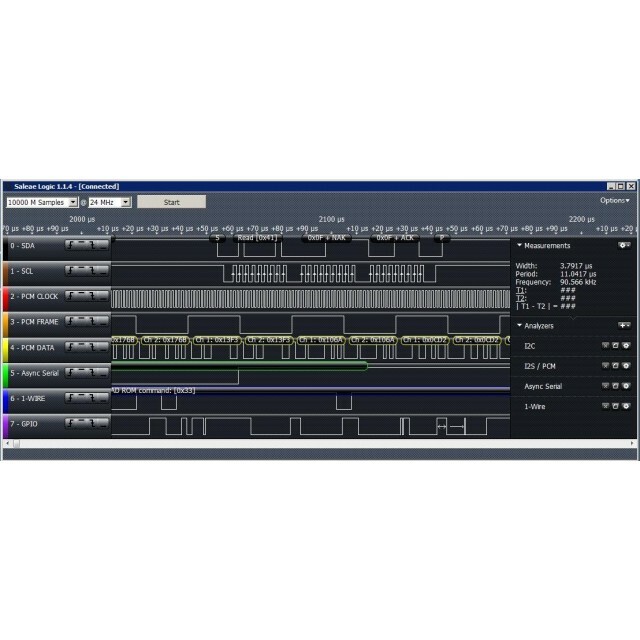 The Logic interface is fully animated and high frame-rate. And it's not just eye candy — it's important because it helps you maintain context when moving around large data sets. Timing markers snap to waveform edges — which is typically where you want them. Just drag the marker close to an edge to snap to it. A number of parameters are available, including width, period, frequency and duty cycle. You can also display the error % of the measurements if you like. Export only the channels you need, for the time period you need — even report just when the data changes; it's up to you. Decode your data automatically with the Analyzer, and see the decoded result along with the waveform. You can also export decoded protocols to CSV files. Monitors up to 8 Channels. Saves up to 10 billion samples. Multi-Platform; Windows, Mac or Linux. Export – binary, VCD (ASCII) and CSV (Comma Separated Value) files. Works with: 5 V, 3.3 V, 2.5 V, 2.0 V systems. 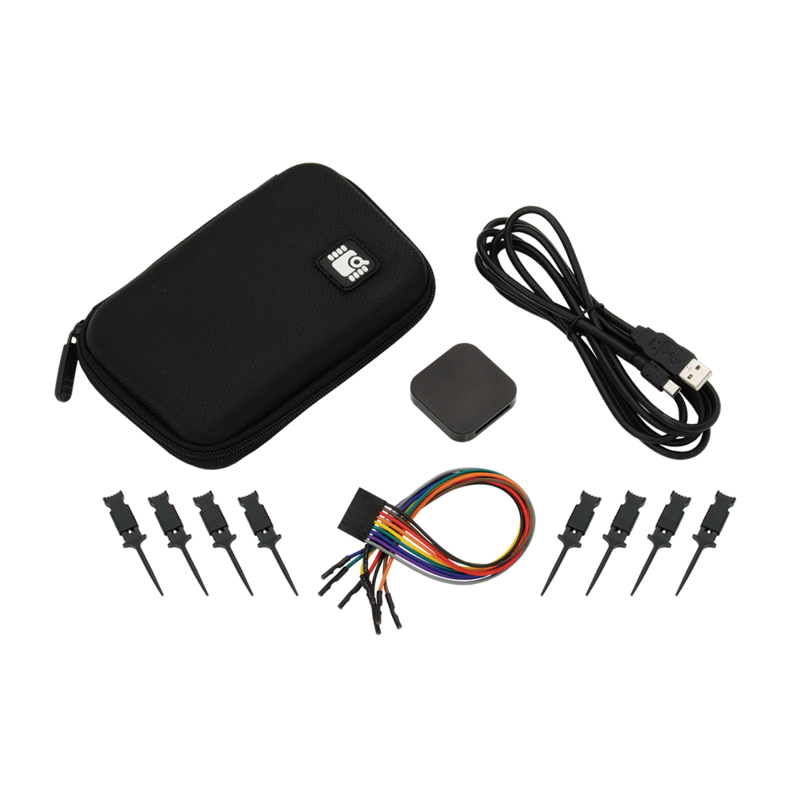 Analyzer supports: I2C, Async Serial, SPI, 1-Wire, CAN, I2S, PCM, and UNI/O. Sample rate: 25 KHz - 24 MHz. Logic voltages from: .5 V – 5.35 V.
1 Mohm input impedance paralleled by 10 pF. Power Requirements: Input voltage range: -0.5 V to 5.25 V.
Dimensions: Length & Width: 1.7 in (43.2 mm) Thickness: .365 in (9.3 mm).